Poverty is a desperate, sad thing. It damns us all, hurts some of us much more. Single mothers face twice the poverty rate of couples with children. New immigrants, First Nations people and People of Colour find the labour and housing markets exclude them in very similar and harsh ways. Our youth are entering a re-shaped labour market with limited prospects for success. For decades, WoodGreen has addressed these needs at both the policy and program level. We have seen the changes a concerted effort can make, reducing poverty, creating strong communities, building an Ontario where everyone has a hope for a brighter future. 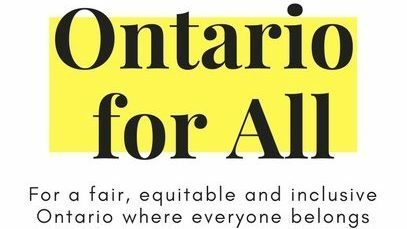 This election, let’s make a difference for everyone through the Ontario for All platform. The time for action is now, again.